Leanne started her career in the dental industry in 2014 and did her NEBDN qualification through Kings College Hospital, which led to her qualifying in March 2016. 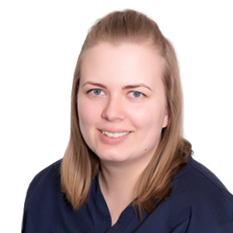 Leanne has a good knowledge in general dentistry and recently expanded her knowledge in infection control and clinical governance. She loves supporting patients of all ages, making their experience as relaxed and enjoyable as possible. Leanne is always keen to progress and further her career in dentistry and this has led her to gain a qualification in radiography for dental professionals. In her spare time, she enjoys spending time with her friends and family and traveling.